Developer: Matt Risley of Swivel Creations & Lu Zhao of Lu Studios. Thank you for allowing me to be interviewed for Retro Games Master to discuss my background and also the game we’re developing called Bounder, we are honoured. Why are you choosing to release Bounder on mobile? Certain games stick in your head from back in the day and Bounder was one of those games, from how it looked, how challenging it was and of course the memorable music it had. 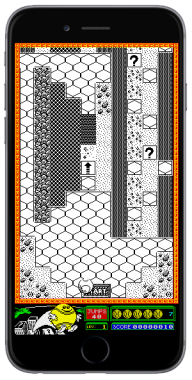 The game is a classic and we felt that it would port really well to mobile, so I made some enquiries and contacted Ian Stewart (ex owner of Gremlin Graphics), and also Chris Shrigley (the original creator! ), and we struck a deal to bring Bounder to mobile. It is very exciting. We want to spark that memories of gamers from back in the day but also bring Bounder to a new market also. I’ve partnered with a local developer Lu Studios and we’ve combined forces to create a really great App. We are looking to launch the game in the first quarter 2018 on the iPhone and Android devices and we have a website covering our development of Bounder and the history which is: www.bounder.mobi. We are also considering a Kickstarter campaign to boost the development and awareness. What is your background in games? My background in games goes back to 1991 where I started with Argonaut Software. I’ve worked for many businesses since then like Queen, System 3, Disney, Atatio, MForma, Atari etc.. and been Art Director (including Technical Director) for many companies and projects covering pretty much all platforms. I still love games, it’s in the blood! I’d say my first gaming experience is GALAGA in the Arcades. Fantastic game, challenging, addictive, great sounds and very colourful. I still play this and works for all ages and i’m getting my boy into this now too. I actually don’t program games, I do the Art and Animation as that’s my background, but I do design games, produce and also publish these and i’m heavily involved in the technical side of things from start to finish. I leave all of the coding magic to one of my programmers. Now we’re using Unity for Bounder and we’re using various art packages, but back in the day we were using Autodesk 3D Studio, Photoshop and DPaint! We done plenty of SNES games using that software. 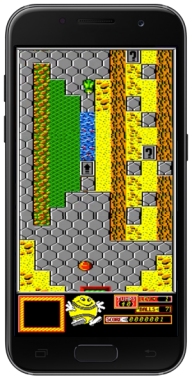 With Bounder we didn’t just want to write an emulator and port the games over, plus Apple do not like emulators so we’re re-coding the game to make use of the mobile platforms capabilities. 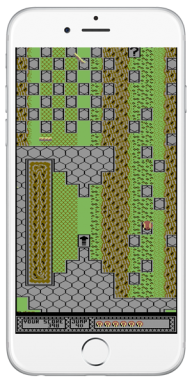 So we’re replicating the games in full, all of the 30 levels covering the C64, Spectrum and Amstrad but we’re adding in more features like orientation, where you can turn the phone on its side and it will display the maps full screen (upright) and more zoomed out or on it’s side and displays it like the original Bounder game. We are also adding in a feature for users to write down each of the codes for all of the levels and enter these to skip to them. With a game as tricky like Bounder, having this feature that wasn’t available in the original should interest the previous owners of Bounder, as i’m sure there’s a lot of them that got a long way through the game and died, then had to re-start all from the beginning! But at least now they can skip to the level and reply it and see if they can beat it 30 years later! That’s a really good question and something which has been playing on my mind a lot. Depending on the success of Bounder, I hope to be able to go back to Ian Stewart and discuss with him the Gremlin back catalogue. Gremlin have a huge amount of successful and well known games and there’s a few i’d love to do! 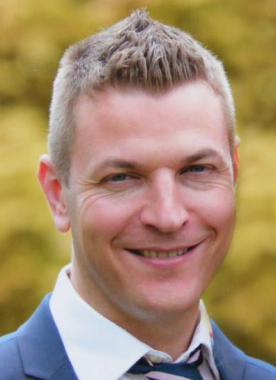 I’ve worked on loads since 1991, but here’s a small list… National Treasure, Hitchhikers Guide to the Galaxy, Transformers, King Arthurs World, Queen the Eye, Italian Job, Ben Chase, Scooby Doo Mystery to name a few. Another good question… and a tricky one to answer as I love all forms of computing. But i’d say in order: C64, my all time favourite for games and music… Megadrive for the variety in games and especially the shoot’em’ups! Dreamcast for Shenmue 1&2 plus other classic games, PC Engine for many flawless ports and it still amazes me how they made so many great games on that little machine… and lastly Sony PSP, still a great handheld with incredible power. Even though I love OUTRUN, I’d say my favourite retro game is Impossible Mission on the C64. It has something about it… beautifully designed levels, it doesn’t have music and doesn’t need it, incredible animation and of course that speech which was cutting edge at the time. A classic Epyx game for sure and one I still play and love. Do you still games on the current consoles if so whats your favourite game of all time? I do still play games, when time allows (wife and the kids). But my favourite game of all time and that got me into games in the first place was OUTRUN. It was a game changer, not only in visuals but in gameplay and the whole experience and the music is unforgettable, it made me want to go into the industry and make games for a living. In 86, nothing like this was ever seen before, I believe it triggered something across the whole world really. The amount of 20p’s i’ve lost in the arcade to this machine doesn’t bare thinking about…. Outrun was ported on to many systems, but for an identical version it was the Sega Saturn but also the PC Engine was very good. It is a game I still play regularly, the music is excellent and I do like Outrun 2 also on the XBOX and PSP. Ha! Loads… without offending anyone i’d say the worst was E.T. On the Atari 2600, iconic film and license totally ruined. I don’t think you can improve on it, what a website! It has everything for everyone, keep up the good work.